Your Bargaining Committee is proud to notify everyone that your tentative agreement was ratified today. 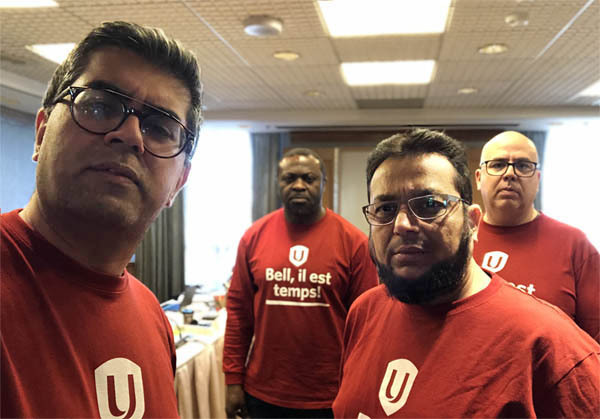 Joint ballots from both Quebec and Ontario were counted today in Ottawa and you now have a new collective agreement in place. We would like to thank everyone that took the time to vote and for your solidarity during the entire bargaining process. A full list of updates and bargaining documents can be found here. Hey, Bell! Remove Stack Ranking! 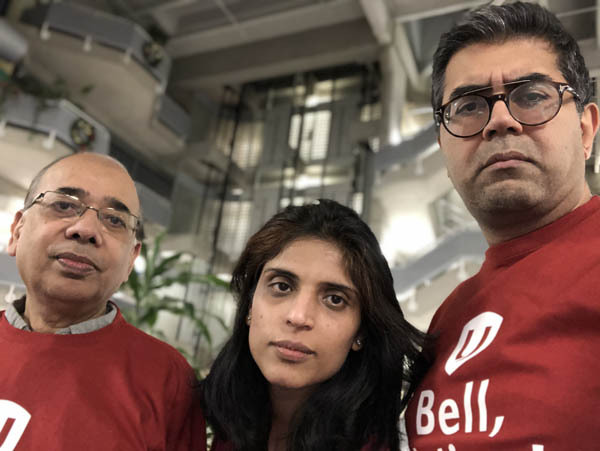 Would it surprise you to know that Bell is using a widely discredited employee ranking system? It makes life worse for workers and customers. Above: Sonny Malhotra, Kato Nsangwa, Fazal Vankalwala, and Carlos Dion. President Sonny Malhotra posing for the End Stack Ranking campaign.